The client is a leading photography studio who specializes in portrait and indoor photography. The client's studio is based in Minneapolis in Minnesota, USA. The client was looking for a reliable and cost-effective image masking service provider who could help them with quality photo masking services. 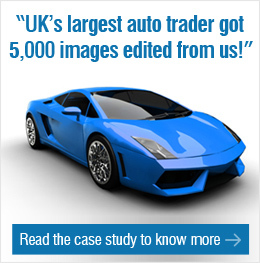 The client wanted us to provide image masking of over 1000 images within a short period of time. As the client was unsure about the quality of services provided by us, they decided to test our services with a trial project. For the trial, the client provided us with a set of 15 photos for which they needed image masking services. We assigned one full-time resource for the trial who completed the project within a quick time. The client was extremely happy with the results of the trial project and decided to outsource the entire project to us. Our team assigned two full-time resources for the project who would deliver 70-80 images in a week collectively. The client would send us the images via Dropbox which would comprise of official photos of the company's employees. Our team of photo editors would perform image masking of the images using the Adobe Photoshop CC tool. The final images would be sent back to the client vis Dropbox. The client was extremely delighted with the results delivered by our team of photo editors. We delivered 70-80 images per week and completed the quota of 1000 images within a short period of two months. The client was not only impressed by the quality of the image masking services but also at the cost-effectiveness and quick turnaround time of the entire project. Outsource2india has been a pioneer in providing quality image masking services in India and a series of other image editing services to its clients around the world. Our team comprises some of the most skilled, experienced, and talented photo editors who are capable of handling any of the client's requirements. We leverage only the best and the latest photo editing tools and technologies which enable us to deliver services within a quick time without compromising on the quality. If you have a similar image masking service requirement, then feel free to get in touch with us today!